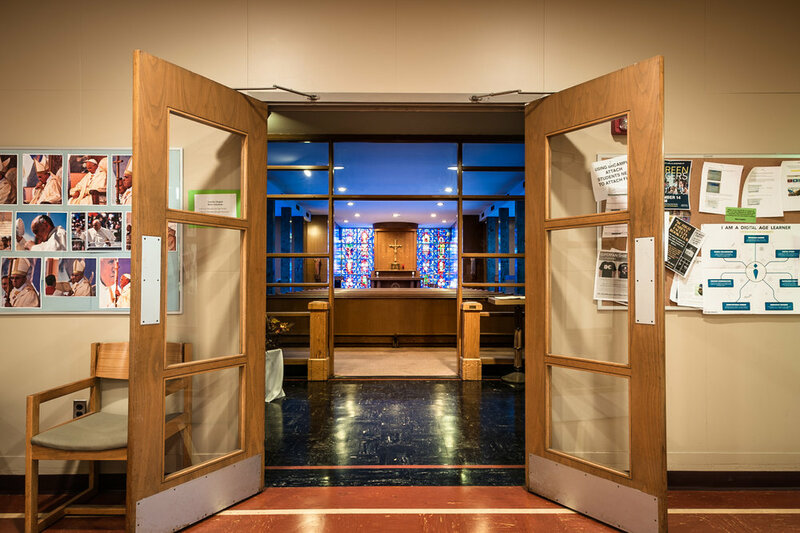 Founded in 1863, Boston College High, the Jesuit High School of Boston, aimed to combine college and secondary school in a seven-year program rooted in the teachings of St. Ignatius. In 1913 what we today know as Boston College relocated to its present site. The high school remained on Harrison Avenue in the South End until 1949 when construction began on the current campus on Morrissey Boulevard. 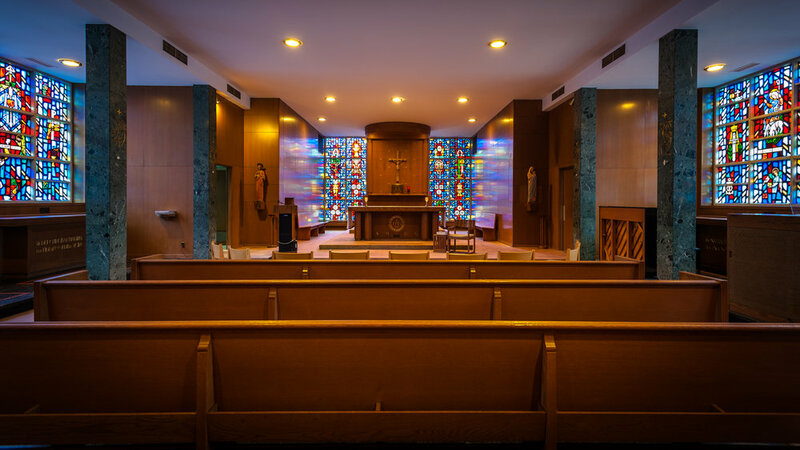 Loyola Hall and the current chapel were built in 1957 to house the Jesuit community that served the school and to provide a place for religious gatherings. Today Boston College High enrolls just over 1600 young men in grades 7 through 12. The Jesuits operated the chapel (note all the side altars for daily Masses) but it has now been given to the school for its use. 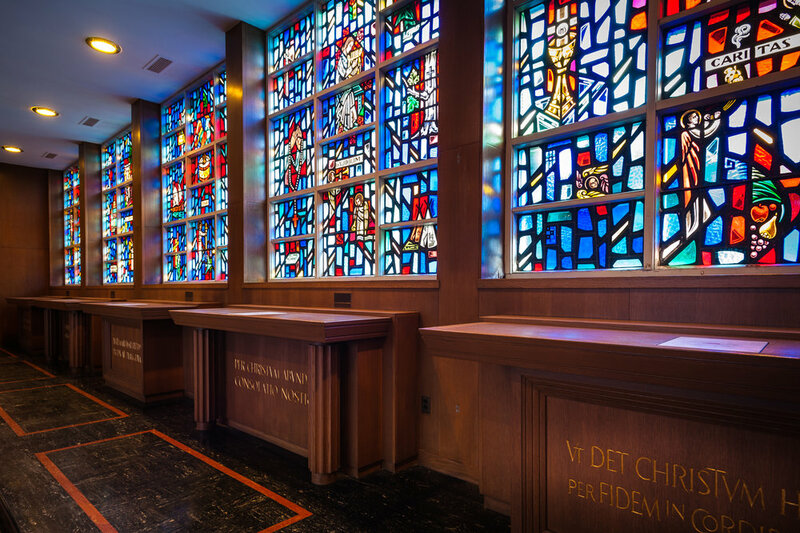 The stained glass windows were designed and installed by Thomas J. Murphy studios of Boston and prominent feature symbols of the twelve fruits of the Holy Spirit. 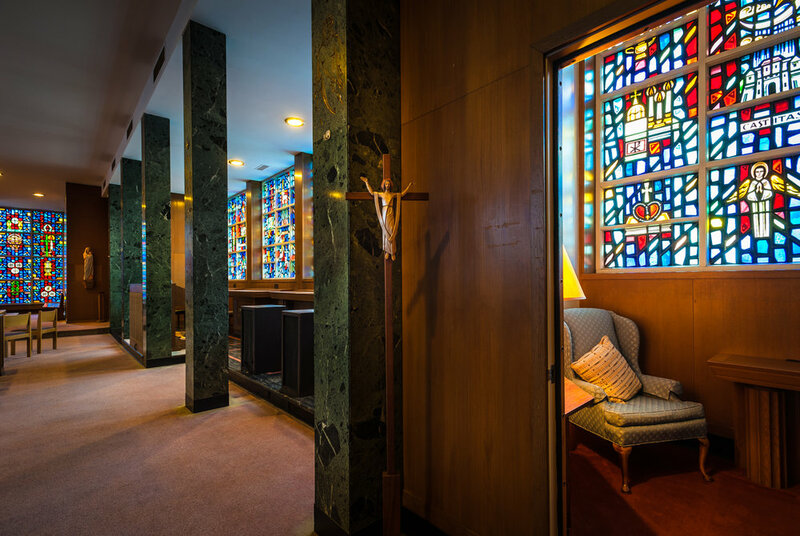 The large window that completely fills the rear wall of the sanctuary is divided into seven vertical panels depicting symbols of the Eucharistic worship.